The author's dedication to Lorenzo Di Piero De' Medici. A description of the different kinds of states. A discussion of the various methods that can be used to govern principalities. A discussion of the difficulties of running a new principality, as opposed to a hereditary principality. A continued discussion of the methods used to govern a principality. A description of the three ways to maintain states that have been occupied. How princes should behave when ruling states acquired by force, and the difficulties of maintaining states acquired by inheritance. Maintaining power when it is achieved by the use of wealth, and the importance of loyalty. The acquiring of power through criminal means. The rise of power by the means of fellow citizens, and the different aspects of a prince created by the people as opposed to a noble prince. The importance of inspiring patriotism and increasing favor with the citizens of the principality. The acquisition and governing of principalities governed by religious doctrine. How the maintenance of a standing army is essential in the enforcement of laws. The risks of using auxiliary troops to defend ones state. The importance of being educated in the art of war. 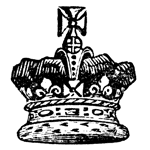 The behavior of the prince as to achieve the greatest benefit for the principality. How being miserly will benefit a prince in maintaining power over a principality. A discussion on the pitfalls of excessive generosity. How the use of compassion and the inducement of fear should be employed to preserve power. Honor and the use of laws and force to succeed in acquiring and maintaining power. The prevention of internal and external insurrections by protecting ones reputation. The many methods employed to maintain power, and which are most effective. How a prince can increase his prestige with the people of the principality. How representatives of the prince can increase or decrease the prestige of the prince. How the prince should receive the advice of his ministers while still maintaining their respect. The author gives explanation for the many princes who have lost their states. How fortune can affect the outcome of affairs and the importance of free-will. The author gives advice in hopes of creating a strong, independent Italian state. Machiavelli, Niccolo. The Prince. Lit2Go Edition. 1916. Web. <https://etc.usf.edu/lit2go/217/the-prince/>. April 19, 2019. Niccolo Machiavelli, The Prince, Li2Go edition, (1916), accessed April 19, 2019, https://etc.usf.edu/lit2go/217/the-prince/.